It has never been a better time for quality ale and brews. But with more amazing beers available than ever before, it's hard to know which ones to choose. Do you want something sharp or smooth? Citrusy or herby? Light or heavy? In comes The Little Book of Craft Beer, which celebrates over 100 of the world's most innovative and tastiest beers. From classic IPAs bursting with zingy hops to silky-smooth stouts, you'll be pointed in the right direction to find the perfect brew for you. Self-confessed beer geek and expert Melissa Cole takes you through the brewing process and guides you to some of the best and most eclectic craft brewers. Combining two of her favourite passions - good-quality brews and delicious food, each section is finished with a cocktail and food recipe using beer as the key component. You will also discover a genuinely tasty selection of gluten- and alcohol-free offerings, as well a helpful advice on shopping for craft beer, tasting and food pairing notes. Complete with clear and practical illustrations, and little known facts, hints and tips throughout, The Little Book of Craft Beer is the perfect introduction for newcomers and connoisseurs alike. "The Little Book of Craft Beer is full of personality. The selection of beers represents Cole's tastes and she shares stories about some of her favorite suds. Each chapter ends with a food recipe as well as a cocktail suggestion, "which can be a great way of getting friends into beer who might not necessarily try it," she says. 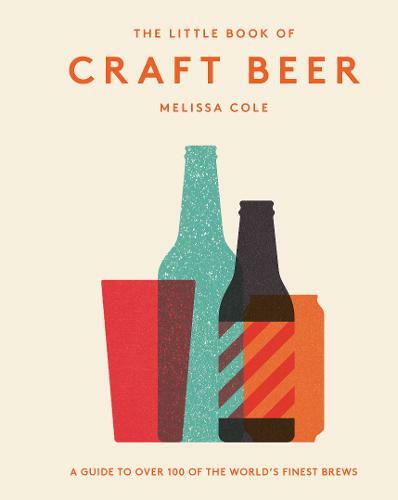 Melissa Cole has managed to offer both a fun introduction into craft beer for newcomers and a supplementary resource for experienced craft beer drinkers."